These crazy crocodiles are swimming along. Or are they really alligators fresh out of a jungle setting? They are NOT paper pieced but use traditional piecing methods to make these fresh and modern animal quilt blocks. Fun and easy piecing for all skill types! 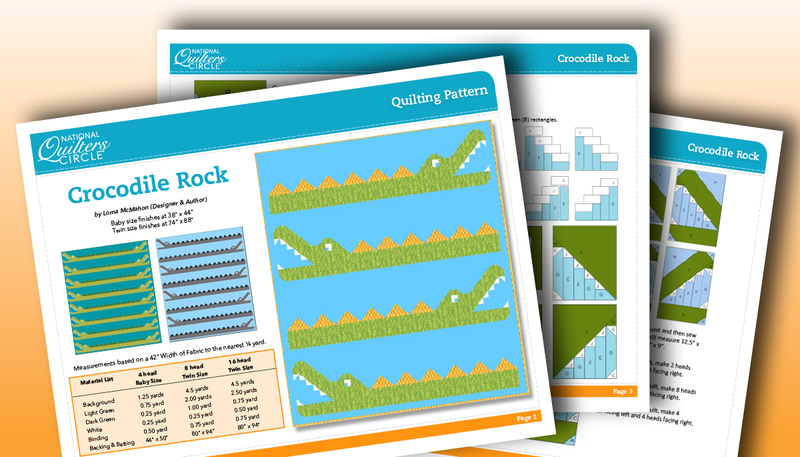 This pattern provides instructions for making the Crocodile Rock quilt in both Baby or Twin size. Baby size finishes at 38” x 44” and Twin size finishes at 74” x 88”.